As farmers markets and food truck rallies now seemingly pop up everywhere, a new nocturnal trend has recharged the street food scene and illuminated the rich potential hidden in long-forgotten neighborhoods across the US. Inspired by the late-night street markets found in many Asian cities, more and more night markets have taken root stateside to expose a rich, cultural melting pot that has largely simmered unnoticed to US audiences. Here, we take a look at the most popular night markets shedding light on local culture from coast-to-coast. 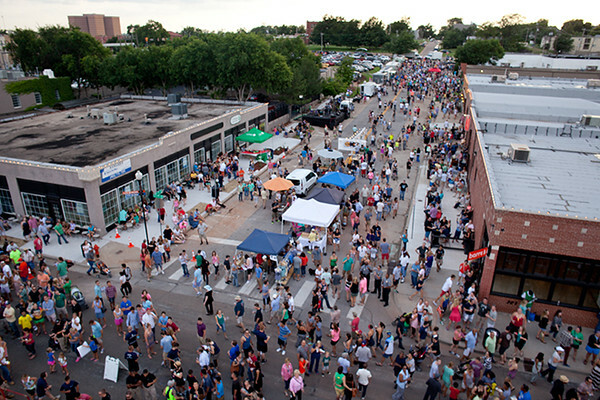 Started in 2011 by three neighborhood business owners, Oklahoma City’s H&8th; Night Market began as a way to draw foot traffic and attention to the emerging MidTown neighborhood just north of OKC’s Central Business District. If simply drawing foot traffic to MidTown was akin to hitting a single in baseball, then H&8th; Night Market belted out a grand slam over Oklahoma’s centerfield wall. From 2011 through 2015, H&8th; Night Market attracted upwards of 40 food trucks and 25,000 people to MidTown on the last Friday of the month between March and September. 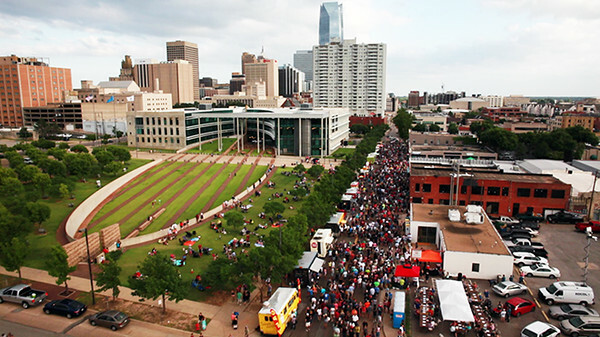 Organizers claim that the market was the largest monthly food truck festival in the U.S. based on attendance, which would peak at close to 40,000 participants during the height of the festival season. The name H&8th; is a playful reference to the physical location of the night market, held 7-11pm on the last Friday of the month between March and September. 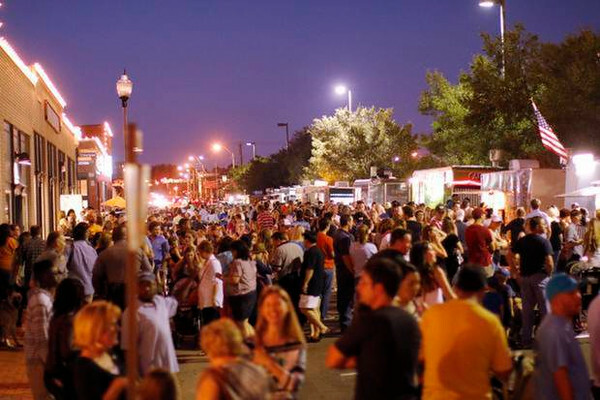 The corner of Hudson Avenue (the main commercial thoroughfare in MidTown) and NW 8th Street is the literal heart of the food truck lineup which stretches out across four city blocks. Along with food trucks, market goers intermingle between existing neighborhood storefronts, a variety of mobile vendors and live music. The MidTown District, Oklahoma City’s original live/work neighborhood dating back to the late 1800’s, is home to some of OKC’s most recognizable historical buildings including the city’s first hospital, grocery store and high school. Over the last decade, the neighborhood has been marked by a surge of development mixing rehabbed historical buildings with new multifamily and commercial building construction. Bringing the neighborhood back to its original roots (albeit one with a larger concentration of renters than its historic origins) as a live/work destination, MidTown has transformed from a sleepy forgotten area marked with empty buildings into a red hot urban district. After operating as a seasonal monthly market for four years, H&8th; Night Market has been shifted to an annual event beginning in 2016. 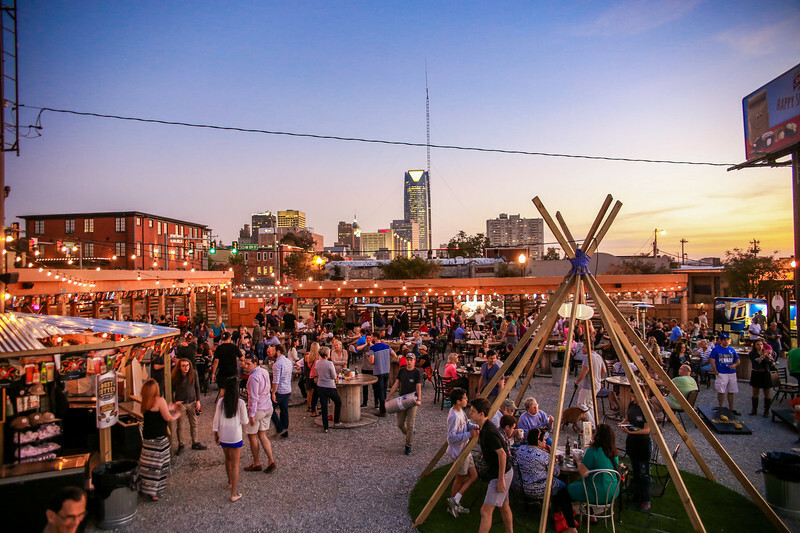 The market’s success has spurred the creation of two additional OKC hotspots: the Bleu Garten, a unique al fresco dining destination in MidTown featuring food trucks and a German-inspired beer garden, and the Industrial Flea, a monthly open-air artisan market held on the final Friday and Saturday of the month adjacent to MidTown’s Bleu Garten.